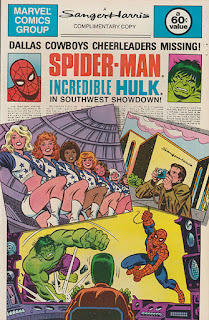 Check out the headline: "Dallas Cowboy Cheerleaders Missing!" 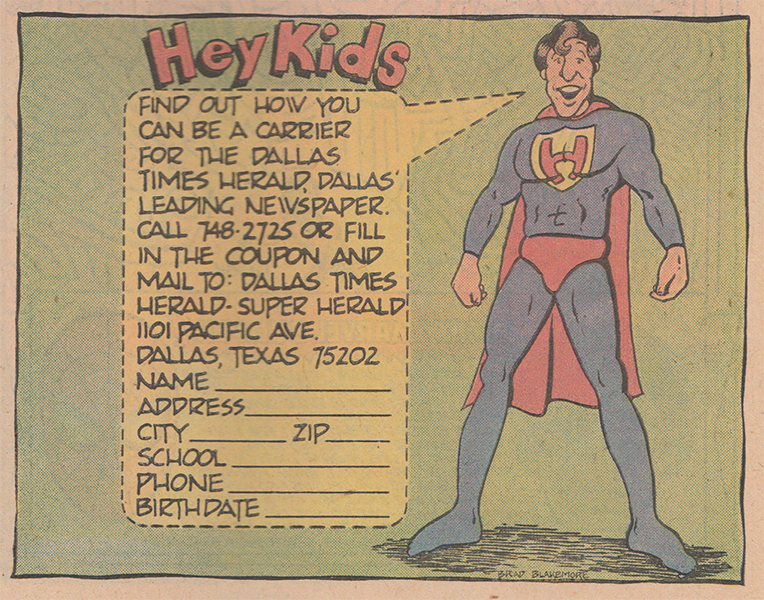 It's time, once again, to dive into another Dallas Times Herald Marvel freebie comic. 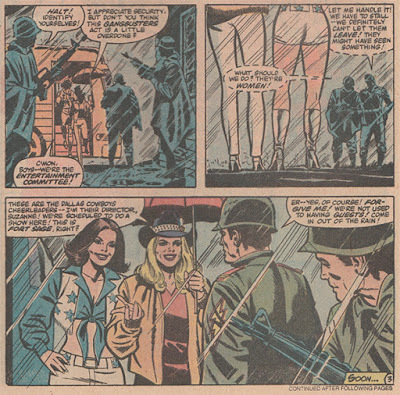 This time it's not just superheroes doing their thing, we get America's Sweethearts as special guest stars! 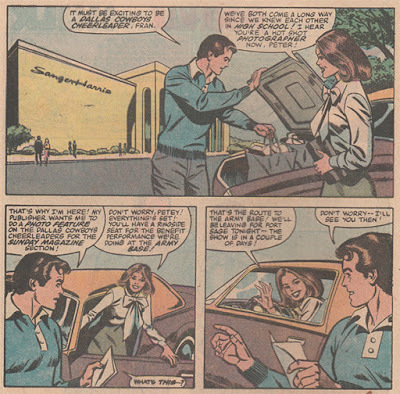 The year was 1982 and our adventure begins with Peter Parker and his childhood friend Fran finishing up a shopping spree at a north Texas Sanger-Harris (who sponsored the comic). 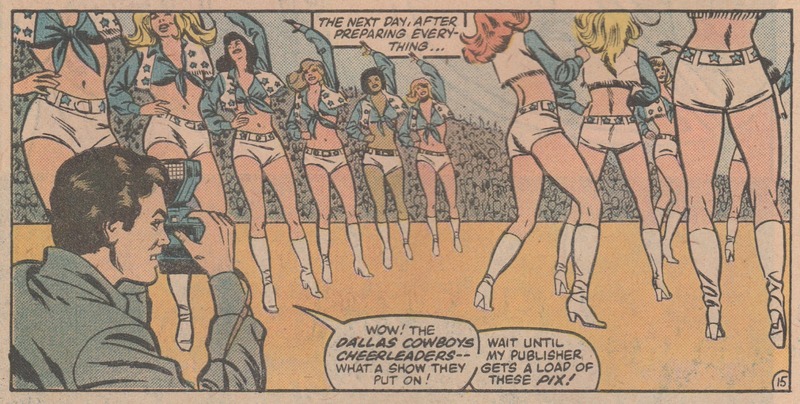 After the stiff wind of exposition blows through Dallas, it's replaced with the rain storms of plot advancement as the cheerleaders get lost on the way to their performance at Fort Sage (which seems to be in California). By the way, that lady in the cowboy hat appears to be legendary former DCC director Suzanne Mitchell. I was wondering if "Fran" was also based on a real person, and I found a Francis Roberson that was an assistant director around this time period but I couldn't confirm if she ever knew Spider-Man. 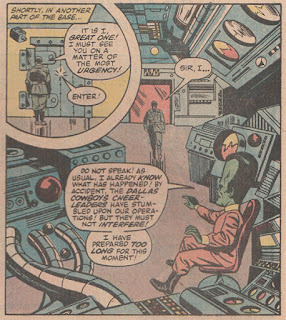 After the "army" guys get the girls situated in the conference room with promises of hot coffee and not being murdered, we get to see what's really going on in this facility. 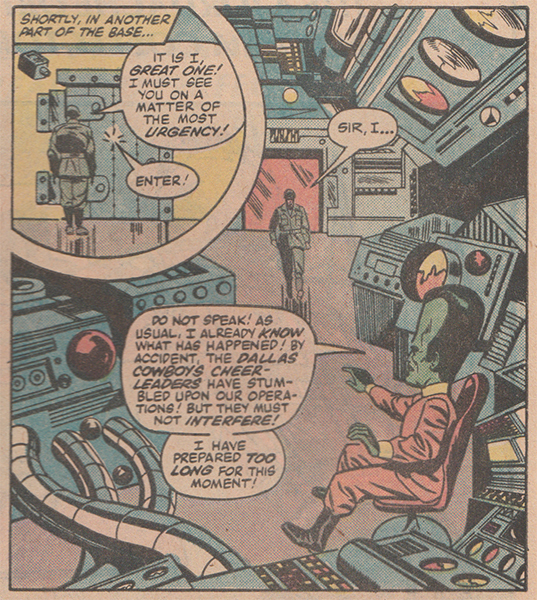 Yep, it's the Leader, an evil mastermind who was mutated in a similar accident that created the Hulk. 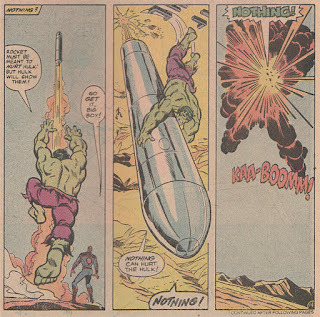 But instead of increasing his physical strength, the gamma radiation increased his mental abilities making him super smart (according to him). 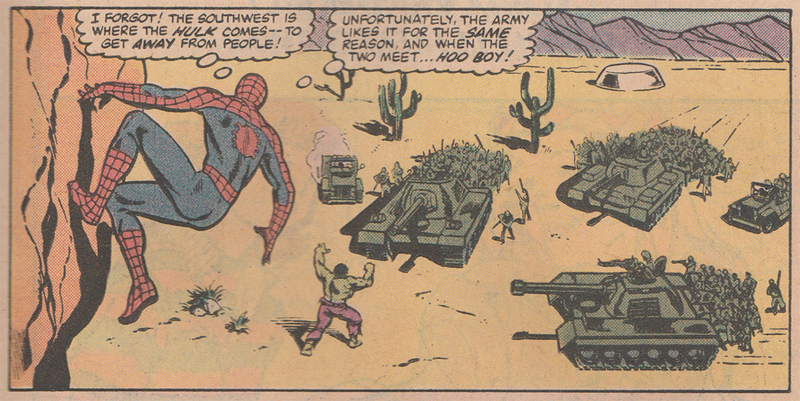 The Hulk was just wondering around the desert (as he does), punching tanks (as he does) when he ran afoul of the fake army guys. 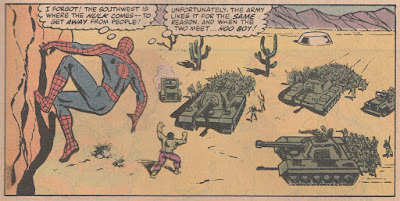 It doesn't take too long for Spidey, the Hulk and the Cheerleaders to all converge on the Leader's compound for a final battle. 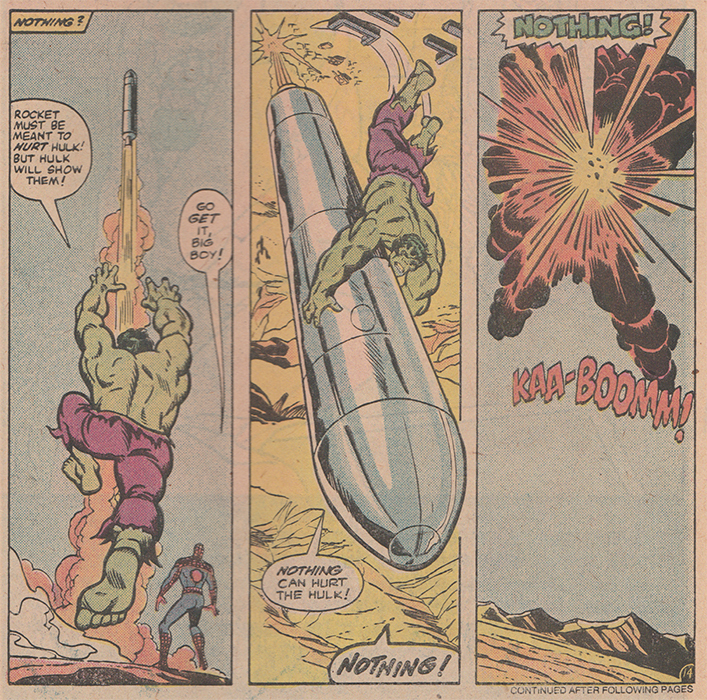 Nothing gets things sorted out like a great big explosion. 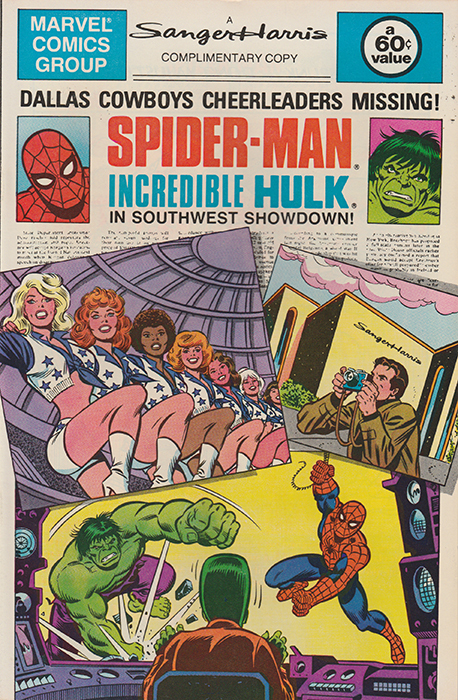 With the bad guys defeated, the Hulk wanders off and the Cheerleaders were free to go find the actual army base where they put on one their best shows. And Peter Parker was able to get the pictures. 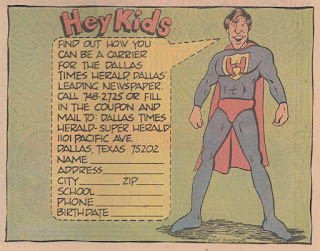 Although it looks like, instead of the Daily Bugle, he may be freelancing for "Cheerleader Butts Magazine." C'mon Pete...we know what you're doing...at least try to be subtle. And the story ends as it begins with Peter and Fran doing some more shopping at Sanger-Harris. Most adventures end with a sense of relief and maybe a trip to the emergency room but this one ends with a job offer.